The provincial government will axe a program that provides tax rebates for Manitoba post-secondary graduates who stay in the province. The move came as part of the 2017 provincial budget, entitled “Responsible Recovery”, introduced Tuesday. The tuition fee income tax rebate offered graduates an up to 60 per cent rebate on the total amount of tuition fees paid over their time at any post-secondary institution in the province, capped at $2,500 per year and $25,000 in total. 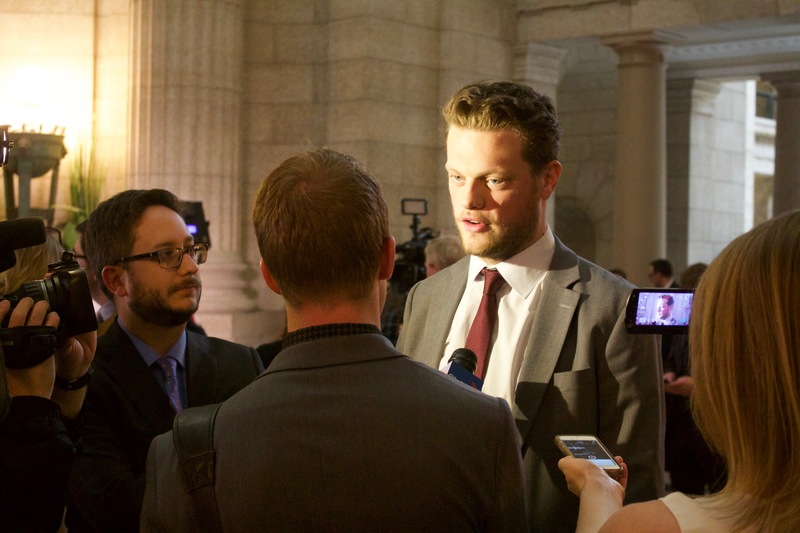 Manitobans were able claim the rebate over a period of six to 20 years after graduating. The former NDP government introduced the tax measure in 2007. In its 2017/18 budget, the provincial government also scrapped the tuition fee income tax rebate advance, which was introduced by the NDP in 2012 in order to provide tax relief for students while still in school. “It did not serve the ends it was supposed to serve,” Friesen said at a press conference before his speech. 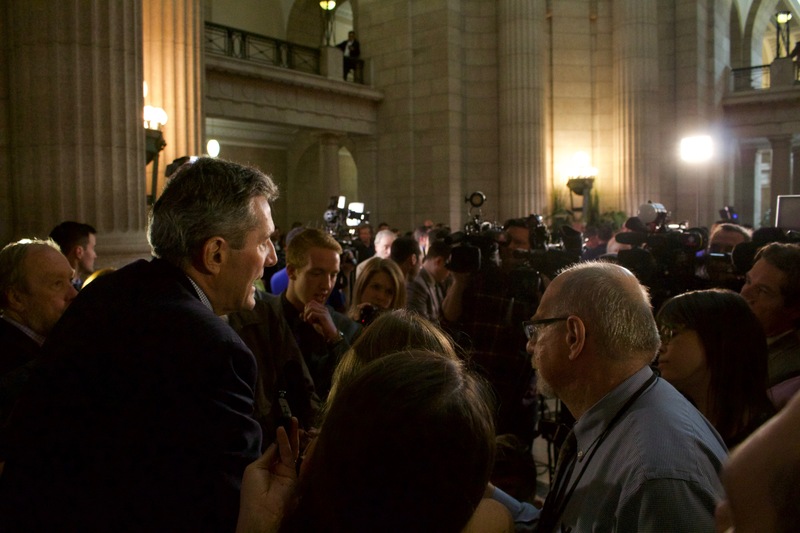 Premier Brian Pallister echoed Friesen’s sentiments that the rebate wasn’t working following the budget speech. As a transition measure, graduates will be able to claim their income tax rebate this year, but it will be capped at 10 per cent of tuition paid, or $500. The rebate will be fully eliminated for the 2018 tax year. The government estimates that by cutting the two rebates, they will save $52.9 million in the 2017/18 fiscal year. 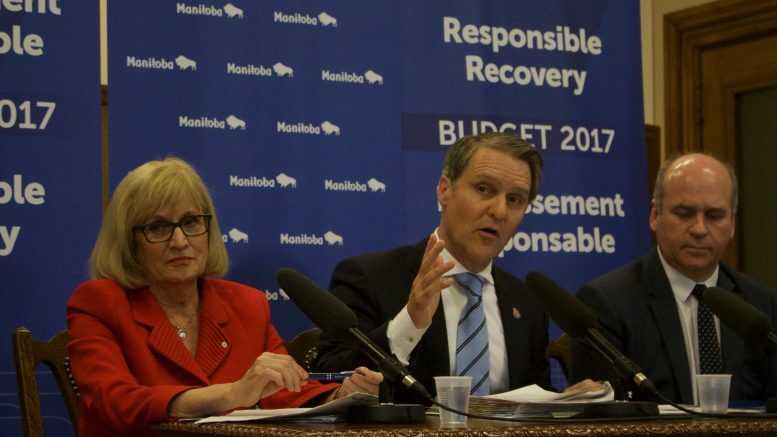 The PCs also made good on an election promise from 2015 to increase the size of the Manitoba Scholarship and Bursary Initiative (MSBI) in Tuesday’s budget. The MSBI was created in 1997 by the Filmon government and has provided a total of $89 million to post-secondary institutions since. The initiative, which hands out millions in scholarships and bursaries every year, was previously backed by a one-to-one funding ratio between post-secondary institutions and the province. The province matched every dollar that institutions contributed to the $9 million initiative, investing $4.5 million per year. Tuesday’s budget will increase the total size of the MSBI to just over $20 million, with a third of that – up to $6.75 million – coming from the province if post-secondary institutions manage to fundraise the remaining $13.5 million. 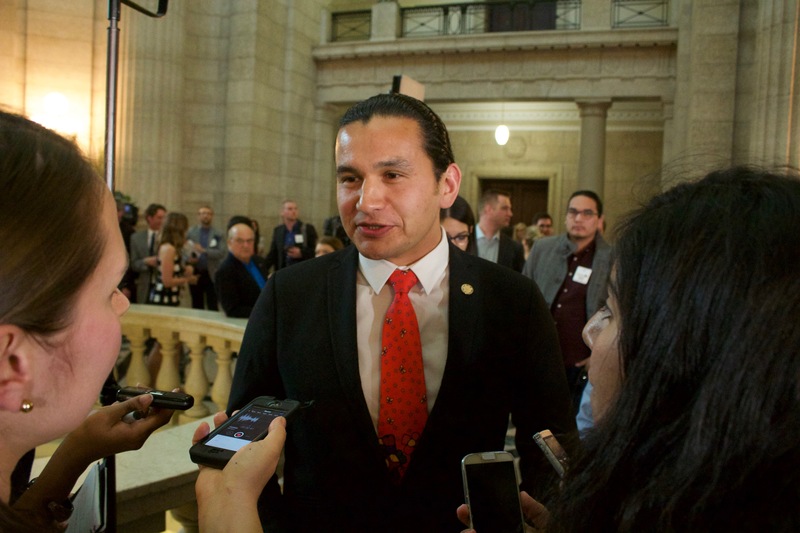 NDP education critic and provincial NDP leadership candidate Wab Kinew spoke out against the rebate cut after the budget speech Tuesday. Canadian Federation of Students-Manitoba chairperson Michael Barkman also expressed his frustration with the budget measure. “I don’t think it’s a sustainable way to fund our post-secondary system and create access for students,” Barkman said. In addition to the changes to MSBI, the provincial government will transform the $10.5 million Manitoba Bursary Program into grants that will be available to students earlier in their studies. The budget also includes a $1.9 million bump from last year to the operating grants of post-secondary institutions in the province. The funding allocation represents a 0.27 per cent increase from 2016’s $680 million in funding, falling short of the province’s rate of inflation which averaged 1.3 per cent in 2016. University of Manitoba president and vice chancellor Dr. David Barnard said the small increase in operating grants will not be enough to end the university’s current trend of budget cuts. Correction: The article originally stated that the former NDP government introduced the tuition tax credit in 2009. In reality, the measure was introduced in 2007. The text has been edited to reflect this.